Microplex's mission is to be the market leader in the design and manufacture of innovative and high quality network application servers. Microplex Systems Ltd. has been designing and manufacturing local and wide area network communications products since September 1978. 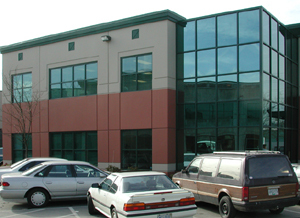 Privately owned, Microplex is currently located in Port Coquitlam, a borough of beautiful Vancouver, British Columbia, Canada. Microplex's first products were synchronous wide area network devices used in mainframe communication networks. In 1991, Microplex introduced its first LAN product, the M200/M201 print server, the first high performance TCP/IP print server for under $1,000. Microplex has since worked to continually improve its products with the subsequent release of the successful M202/M212 multi-protocol print server and the M204, the first print server utilizing PCMCIA technology, the M205/M206 Pocket Print Servers and the M305 10/100 Pocket Print Server. Microplex has become active in the export marketplace with export sales growing from 15% of sales in 1991 to almost 95% of sales today. In recognition of our exporting success, Microplex received the prestigious BC Trade Export Award for 1994. Microplex was also awarded the "Best of Byte" award at Comdex 1996 for the NetworkEye. Microplex is committed to continuous improvement in our products and support services. Our policy of total customer satisfaction is at the heart of our 30 day money back guarantee and expert customer support team. Meeting customer's needs by solving their problems is a high priority at Microplex - whether it's providing prompt answers to technical support questions or developing custom solutions for specific applications.